Horse race betting is a time-honored tradition and BetDSI is your home for the best online horse betting experience. Enjoy safe and secure year-round action from one of the most exciting ways to participate in online gambling. Rack up big earnings when you bet on exotic wagers and earn daily cash back on every bet. It pays to play with BetDSI so sign up today and get off to the races! 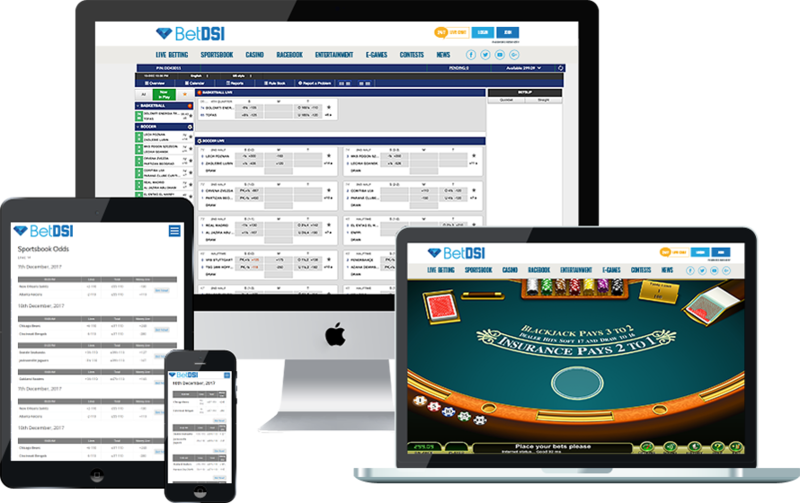 For 20 years, BetDSI has been the most trusted name in online gambling and horse race betting. We’ve built our reputation and maintained our customers’ trust by providing a platform for safe and secure account transfers, quick and easy payouts and award-winning customer service. We are Fair Gaming Certified, and we pride ourselves on being the world’s safest and most reputable legal online gambling site. It’s no wonder BetDSI is the top choice for online horse betting! Unlike most sports that are only active during certain times of the year, it’s always horse racing season at BetDSI, which means there’s always action to bet on and money to be made. Wager on Triple Crown races such as the Kentucky Derby, Preakness Stakes and Belmont Stakes. The ponies continue throughout the summer and right up to the Breeders’ Cup. Betting on horse racing offers multiple ways to increase your winnings. Play it safe on straight bets or try your luck at guessing exactas, trifectas and superfectas to win extra money. Bet on the outcomes of consecutive races to further multiply your earnings. With horse race betting at BetDSI, you always win – no matter what! That’s because you earn 8% cash back daily on exotic bets and 3% back on all win, place or show wagers. With no weekly minimums to meet and no limit to the amount of money you can win, BetDSI is the best site for online horse betting, hooves down! Start betting now for as little as $1 or go big and wager up to $10,000 on every win, place or show wager. Combine your picks to multiply your winnings and watch your bankroll grow. There’s no limit to how much money you can make betting on horse races, and when you bet online with BetDSI you get the highest payout limits in the industry. There’s no easier way to make money betting on horse races online than with BetDSI. Our online betting application is accessible from anywhere on any platform. Bet on horse racing directly from your smartphone, tablet or computer. Nothing to download means you can play right from your browser, instantly! Get your money faster by wagering with BetDSI. There’s no need to wait any longer than you have to or do anything special to collect your winnings when you bet on horse racing with BetDSI. We offer some of the fastest payouts in the industry including same-day payouts when you play with Bitcoin. We offer some of the fastest payouts in the industry, including same-day payouts when you request your funds Bitcoin. Our payouts are simple, secure and efficient. Don’t let other online gambling sites hang on to your money when you can cash your earnings faster with BetDSI! Open an account today to start earning 3% cash back daily on win, place or show bets and 8% cash back daily on exotic wagers.